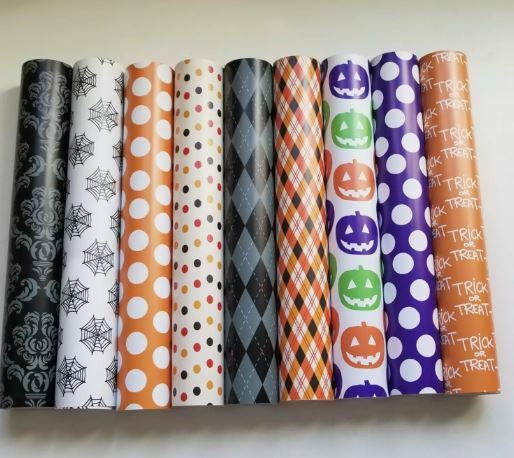 Get this Fun Halloween Crafting Vinyl on sale for $6.99 (Retail $13.50). (4) 12″ x 12″ sheets of self-adhesive crafting vinyl that you can use in whatever way you want. Perfect for everyday crafting, these matte vinyl sheets perform just like any other vinyl. It is sized specifically to be able to use with a Silhouette or Cricut machine! Ingenious! Don't have a machine? No problem! These craft sheets or vinyl sheets can easily be cut with scissors, paper punches, etc. Great addition to labels, banners, gift tags, monograms or any other small project that needs a burst of color and attitude. Much faster than modge podge! No drying time, no mess- it's a sticker! Nothing compares to our vinyl sheets! We use the highest quality of vinyl so you get a great look every time. See for yourself how easy it is to work with and how great it looks.